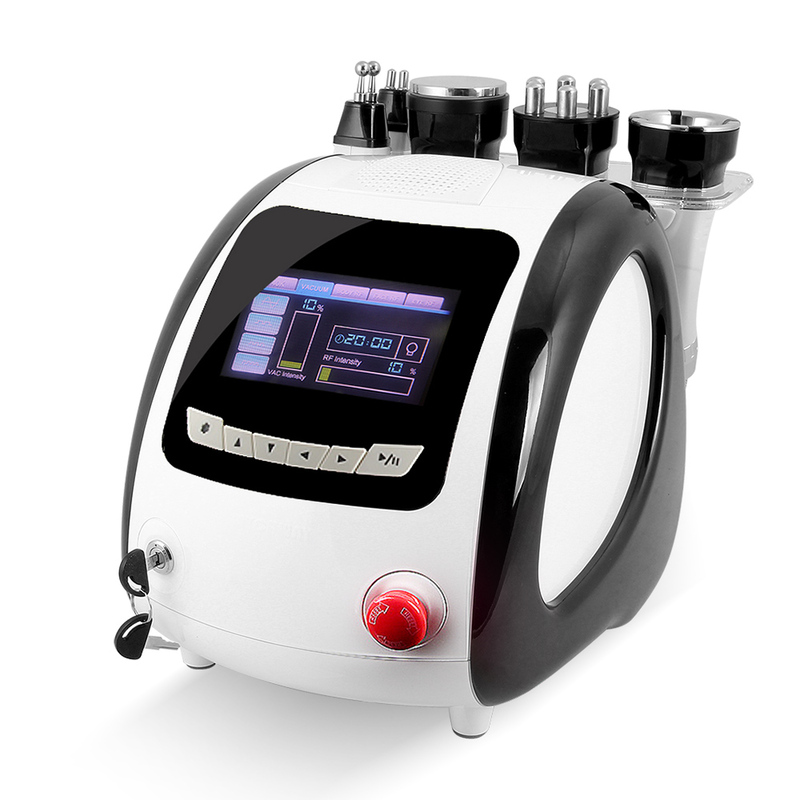 WHAT IS THE ULTRASOUND CAVITATION LEDSUCTION OPERATION LIKE? It uses a 40kHz focused ultrasound cavitation effect, to cause tons of microscopic air bubbles to surround the LEDcyte (fat cell) membranes and with its resonant frequency, the bubbles cause a high enough pressure to cause the fat cells to break up instantly. The broken LEDcytes are then moved to the liver and safely metabolized out of human body which is assisted by drinking a lot of water. It produces LEDlysis of fatty acids from adipocytes (fat-laden cells) due to a phenomenon known as stable cavitation, and increased cell permeability of the adipocytes. You get an increased flow of triglycerides. Furthermore, there is a breakdown of the fibers through mechanical action ("jet stream"). Finally, some content of adipocytes is metabolized by the liver and eliminated in the urine. Why do we use Radiofrequency and LED led LEDlysis at the same time? It is the Efficacy of Combined Skin Tightening and Fat Reduction. Combining led LEDlysis and radiofrequency is a logical approach to achieve skin tightening and fat reduction without LEDsuction. We explore the practicality and value of combining led LEDlysis and Three polar radiofrequency to achieve skin tightening and localized fat reduction in the submental, neck, and jowl areas. Morbidity, patient acceptance, and patient satisfaction were assessed. Why do we use Vacuum + Three polar r RF work together? 2.With non-slip push-button:Easy to control with the suitable elasticity and flexibility. 4.With Smooth Connecting lines as long as 2 miles. 5.With fine Mould design,the Best quality guarantee. 6.With good Performance of heat dispersion. 7.With the emergency switch and Key,safe to operate. 8.Be used for face&Body to perform its Cosmetology. 9.With Multifunctional newest technology commbined perfectly to achieve best operation results and experience.